As the sound of the Tzu Chi Anthem raised in Toronto, the Tzu Chi Eastern Canada started their 6th commissioner training class of 2014/15 on March 22nd. 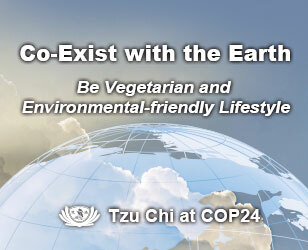 The March class theme is “environmental protection,” and thus, thanks to video conference technology, the Eastern Canada Tzu Chi was able to setup an online sharing with DA.AI’s General Manager, James Lee, and staff, Tom Yang, in Taipei to hear about the mission and vision of this eco-friendly and Great Love brand. 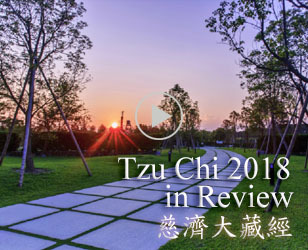 The sharing started on 9:30AM Eastern time (9:30PM Taiwan time), and over an hour of interaction, not only that the Tzu Chi volunteers learned about DA.AI’s effort in “not to promote consumption, but rather environmental protection” ideology, but also its mission to become the backing of compassion for Tzu Chi Foundation. 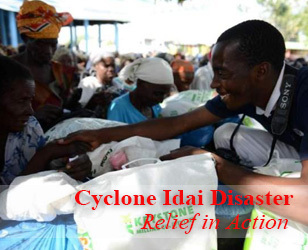 Combining the work of Tzu Chi environmental promoters and cooperative partners, DA.AI’s looks to gather more strength of goodness for charity, and eventually purifies the world starting from everyone’s heart. One of the Tzu Chi Canada documentary volunteers Hung Shi-Kai admired that Tzu Chi and DA.AI, although may operate a little differently, are all trying the best to bring goodness to the society. Another documentary volunteer Chen Ming Li also believed that DA.AI Technology, carrying Dharma Master Cheng Yen’s teachings, acts out a strong attitude to promise humankind a new and a better world. Like how Canadian Tzu Chi volunteer Guo Hui-Lan felt touched by Master Cheng Yen’s “do recycling with clapping hands” sentence that initiated Tzu Chi’s environmental mission in 1990, and followed the “cleaning the ground and also cleansing our heart” teaching, DA.AI aims to bring touching and inspiring true stories of the same spirit through each and every sharing. While giving the blessing for Toronto’s coming 2015 Green Living Expo to be a great success, DA.AI also invites the global Tzu Chi family to give us a chance to share with you our brand story and mission through video conference, and pull our distance closer.